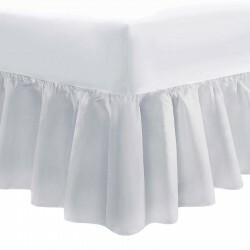 We make fitted sheets to fit a range of 7ft beds. Made in house with double stitched corners for extra durability and an all round elastic hem to keep the sheet in place. Our sheets can be made to fit any depth of 7ft bed so don't worry if you have an added topper or if your mattress is extra deep. 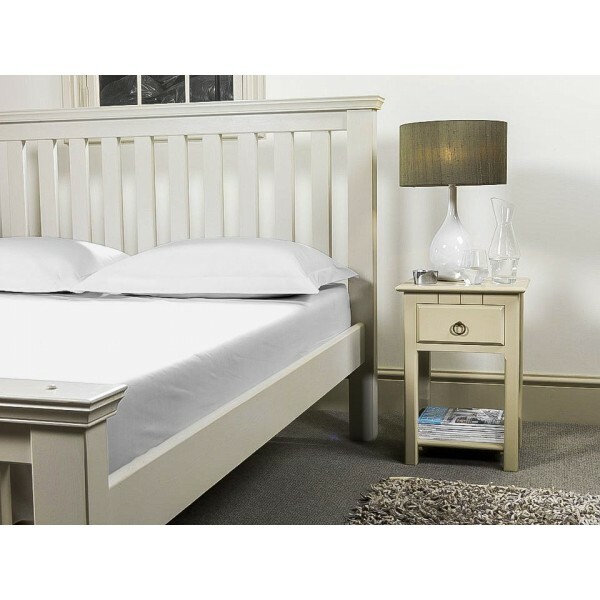 Just select your mattress depth from the drop down box and we will ensure it is made to fit. 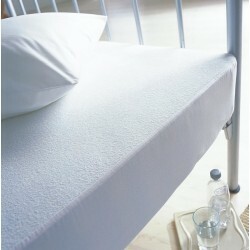 Superior 1000 thread count percale* fabric with an ultra soft sateen finish. *Percale, meaning threads are combed before weaving to remove knots and impurities. Pillow Case for Extra Long Pillow in 1000 Thread Count CottonPillow case to fit 107 x 50cm pillows i..
Large Emperor Valance in 100% Cotton400 Thread Count Valance to fit 215 x 215cm bed in white or ivor..